A new version of our pop art print. 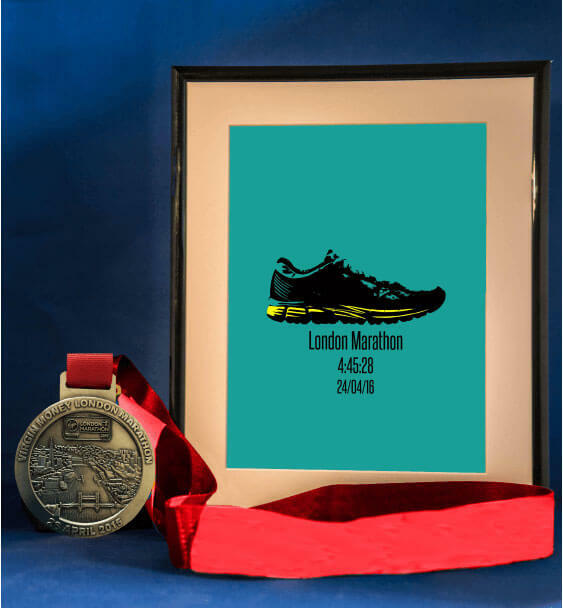 A single running shoe with space to put your race details including date, event, time and extra space to add a special message like “Personal Best”. 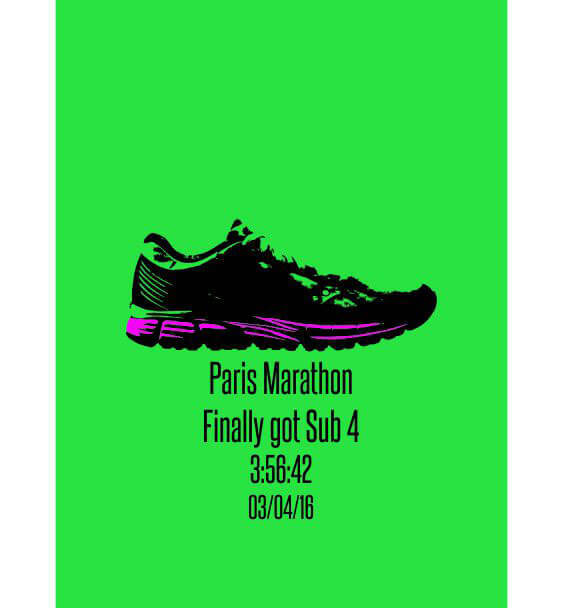 Or if you prefer to have just the running shoe you can leave it blank. A bright and visually very cool print. 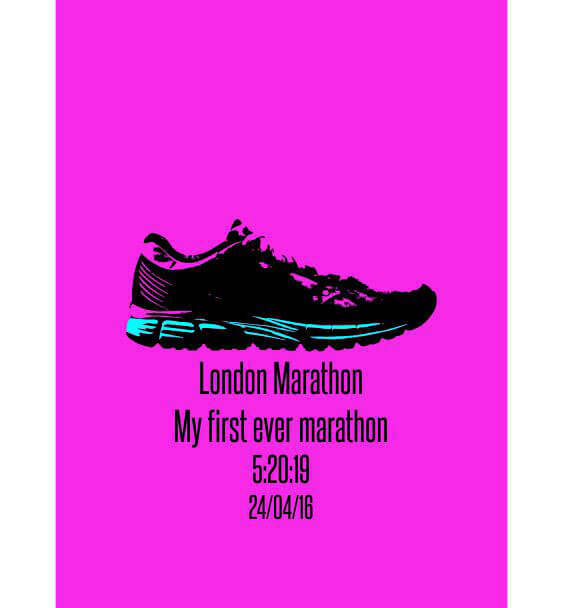 Great print for runners, it is a simple print yet says so much. The bright backgrounds shows up the running shoes really well. 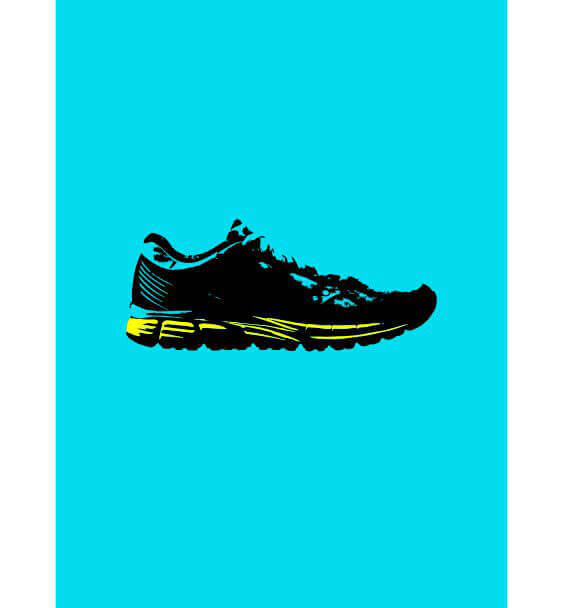 HAVE YOU SEEN OUR OTHER POP ART PRINT? We can usually get orders out in 1-3 days depending on stock levels. When we have completed your order we send via one of the delivery options you have chosen (see below for more information). If you want your order by a certain date, please add this to notes and we will do our best but can’t guarantee.